All funds raised will be paid directly to Kim Heimann, Suzie Beeson for Expenses that will help them through this journey!. Two great ladies who support the Clarkson-Leigh Patriot programs! Fighting the fight.... Right alongside you! 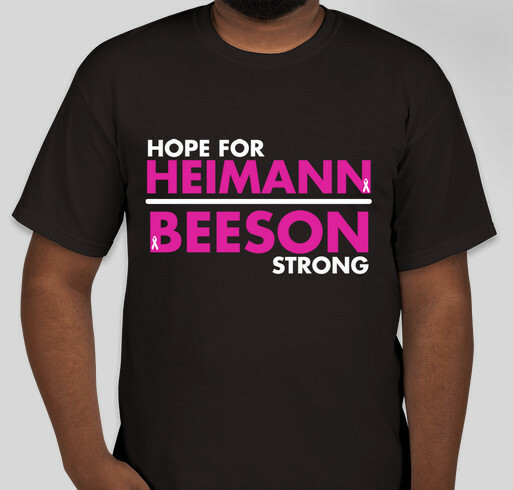 Share Why You Support "Heimann - Beeson T-Shirts"